Telecommuting Moms provides information on a wide variety of legitimate work at home jobs in order to help you make ends meet as a Stay-at-Home Mom. I like to mention my work-from-home work history to ensure readers that I do know what I am talking about! Also, for readers who have questions about any of these companies or any similar companies I would be more than happy to answer them. Sometimes reading someone’s past experiences can also give you an idea of what will or won’t work for you. WAYYYY back in 2000, work from home jobs were not easy to come by compared to today. I was very blessed early on to find work as my family really needed it to make ends meet. When my oldest son was born in 2000 I landed my first work from home job doing data entry for a company called DEIS that did magazine subscriptions. It was a flexible job but the workload was a lot to balance with a newborn and later a toddler. DEIS went out of business in 2001 so I started my job hunt once again. In 2001, I went to work for Alpine Access, a virtual call center company. They are based here in Denver and at the time only hired within Colorado, what a blessing! When I first started with the company they did not have set schedules each week, you entered your availability and were scheduled around that. This worked great for our family at the time because my husband was a sports journalist and was around a lot in the mornings and afternoons to watch our son while I worked. My husband’s schedule varied every week though depending on what events were going on that week. When Alpine Access switched to a set schedule in 2006, I had to leave.as I couldn’t commit to working the same shift each day. By 2006, we had added two little girls to our family so we had a full house and I just couldn’t do it when my husband was not around. It was a good five year run though with Alpine Access and I would recommend them to anyone. For a couple of years after this I did jobs that were not necessarily work-from-home jobs but flexible enough I could schedule them around my husband’s work schedule. I did mystery shopping (yes, it is a real job! ), grocery store demos and then merchandising for a couple of years. During this time I also briefly worked for ACD Direct, another call center. They are also a great company to work with. They take incoming calls accepting donations for different PBS TV and radio channels. I also worked seasonally for ETS, Educational Testing Services grading online several times a year for different standardized tests. For some of the tests, you are required to have a teaching degree but for others, a bachelors degree is good. I left both the merchandising job and the ACD Direct jobs when our fourth child was born in 2009. For several months I did short freelance assignments I found online, I kept busy with sites like Livework.com and Odesk.com and also worked for IMShopping.com as a shopping assistant. In the fall of 2009 is also when I started blogging. Up until then I had a regular website where I had a list of companies that hired people to work from home but I decided to switch this over to a blog in order to allow for constant updates and new jobs postings. Thus, TelecommutingMommies was born. Once the blog was launched I used articles I published here and other free sites to use as samples and I began doing some freelance writing online. I was hired by Demand Studios, Internet Brands, and Interact Media. Freelance writing is a very flexible work-from-home job that you can really do anytime of the day or night which is great when you have young children. In the spring of 2010 I was contacted by Leapforce for a job I had applied for a year before as a search engine evaluator. This is very flexible so I added this to my basket of eggs with the freelance writing. The program you work on as a Leapforce agent is open 24 hours so you can work any hours you prefer. I was also hired on in 2010 as the Denver Telecommuting Examiner at Examiner.com. In the fall of 2010 I started working as a community manager for ShesConnected doing social media. This is where my work from home jobs that started as a way to scrape by financially turned into a career. 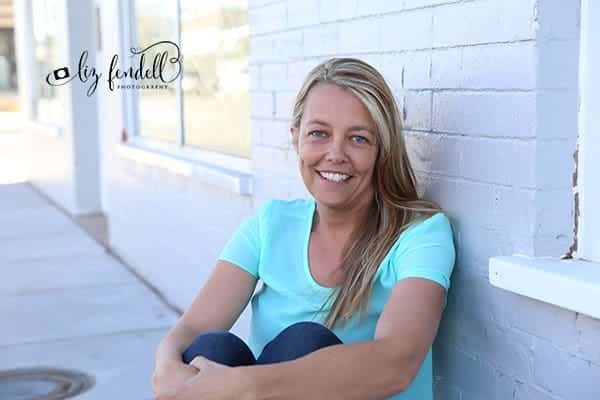 I learned a lot about writing and social media by working with a variety of clients and assisting with Twitter parties while working for ShesConnected. As of 2013 I am now also the work from home expert for Answers.com. For those interested I have added links below where you can view some of my writing online. In 2014 I moved on from ShesConnected. I had a brief stint writing for Manilla before they decided to close their doors.I then worked for a couple years as a social media manager for AshleyKingsley.com and now work as a social media manager for Jennie Lyon Virtual Assistant Services. Also please feel free to visit my Disclosure Policy for more information.